The biggest claim to fame for startup Helium, an Internet of Things company that started in 2013, has been perhaps co-founder Shawn Fanning. Fanning, of course, is the serial entrepreneur who developed Napster and started other companies. But Helium is making a name for itself by expanding from its software beginnings to usher companies into IoT with sensors, software and cloud services. Its goal is to improve company productivity by putting the streams of data collected from sensors to action. Helium is releasing new sensors, applications and development tools as it builds out a comprehensive product line. 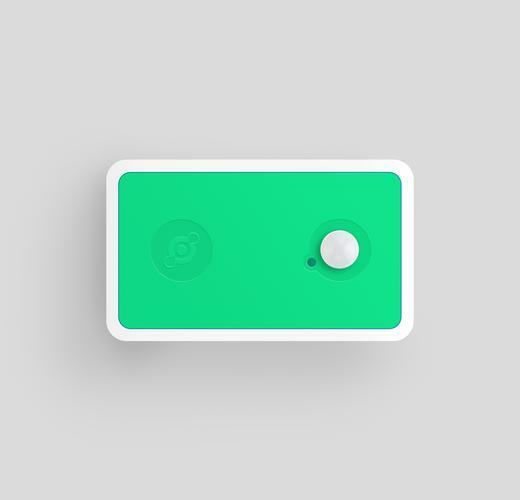 The company's latest product is a new sensor called Helium Green, which can monitor temperature, humidity, barometric pressure, motion, and light. The sensor hardware offers three years of battery life on two AA batteries. It can be plugged into a mesh network of interconnected devices through the emerging IEEE 802.15.4 standard, which is behind Zigbee and Google's Thread protocols. Helium also announced the Pulse monitoring application, which helps keep track of a mesh of sensors. If there's a malfunction or a sensor passes a pre-set threshold, a notification is sent to a smartphone, PC, or tablet. Alerts can also be set up based on historical or current data patterns. Still coming from Helium will be a range of sensors, including one to check air quality. Oil and gas companies have started using these types of sensors to check for carbon monoxide and toxic gases at dig sites, an important employee safety measure. If inconsistencies are found, the sensors will report back to the company. Helium sensors are easy to set up and have flexible functionality, said Rob Chandhok, president and chief operating officer at Helium. It can be hard to manage an army of sensors. Helium is trying to make that easy for customers by bringing transparency to installations at the hardware and software levels, Chandhok said. Helium is also providing a cloud service to make sense of that data. IoT is a broad market, and can be confusing to many potential customers. Gradual exposure to interconnected sensors and cloud-based data analysis is one way to educate and retain customers, Chandhok said. For example, Helium wants to make asset management and monitoring easier through sensors. Sensors could change industries like insurance, which could report on incidents like accidents and ultimately help set policy rates for customers. Helium has already had success in areas like refrigeration. The company's sensors ensure refrigerators in hospitals and restaurants are functioning correctly at the right temperatures. The company is also targeting building installations, which can build asset management systems around sensors. Helium also announced it received US $20 million in funding from venture capital firms including FirstMark Capital, GV, and Khosla Ventures.